Ground squirrels, or more specifically, California ground squirrels, tend to live in more rural areas, like the Temecula Wine Country, but they can also be found in suburban yards and on commercial properties. They live largely underground (hence their name), creating tunnels and gnawing on plant roots along the way. They can do serious damage to plants and trees, as well as to irrigation systems. In severe cases, their burrowing can also do damage to building foundations or cause hillsides to erode. If you have noticed ground squirrels on your Temecula property, it is best to get the problem under control right away. It may seem like they are not doing a lot of harm, and that they’re just creating small mounds of dirt on your lawn or in your planting beds, but you don’t know what they may be damaging under the surface. Come spring, it will be ground squirrel breeding season, where female ground squirrels can have litters of approximately six to eight. Then, you have a real problem on your hands, and one that is much harder to get under control. At Knockout Pest Control, we use the bait and removal method of ground squirrel control. We use this method so we can be sure that the ground squirrels are removed from your property. If you use just bait or fumigation methods of ground squirrel control, you can never be completely sure that the ground squirrels have been eliminated, and the problem may become increasingly worse. It is best to have the ground squirrels removed from your property, and our pest control specialists know how to do it safely and effectively. If you are in need of a professional pest control company in Temecula to rid your property of ground squirrels, contact Knockout Pest Control today. 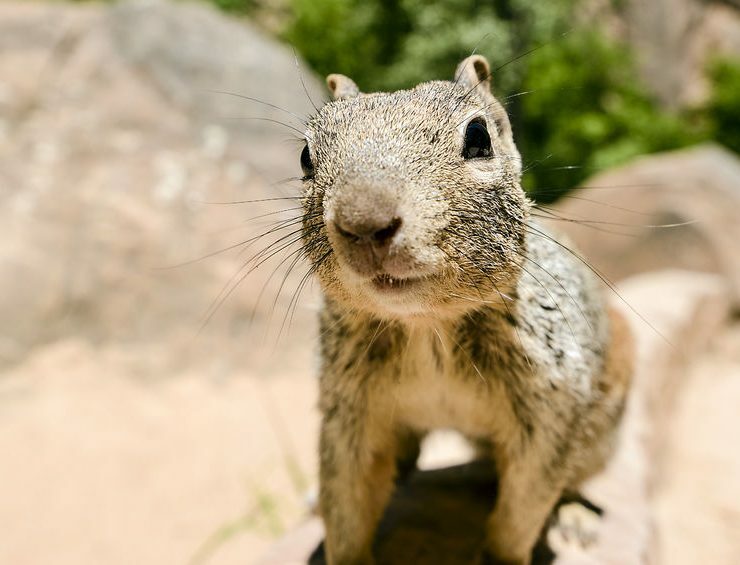 We can come to your property for one-time ground squirrel removal, or for regular ground control service (for areas with recurring pest control issues). We offer monthly, bi-monthly, and quarterly service in Temecula for ground squirrel control, as well as for other pest control services. Contact us to schedule a free inspection, where we can give you recommendations for the most effective pest control treatments for your specific pest problems.